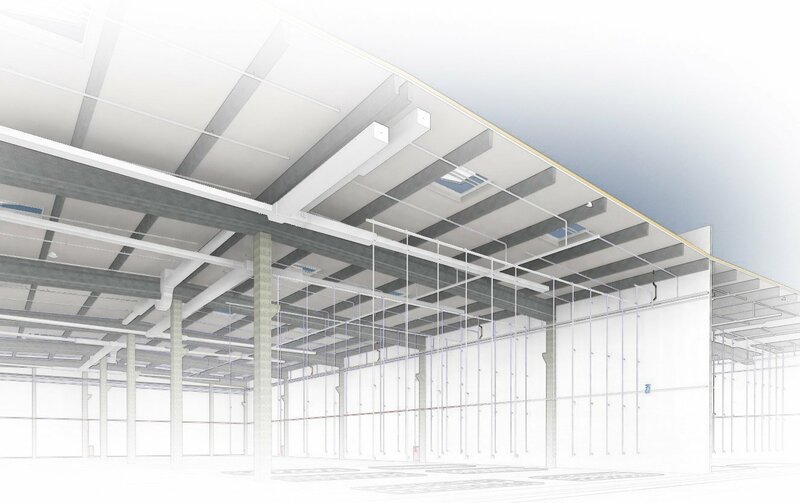 working with BIM technologies in design and construction. and build more efficiently and save, at the same time, their precious time and resources. Our product is Building Information Model (BIM) This is a modern approach to the design and creation of documentation for construction objects. BIM - is entire information about an object that has a numerical description and is organized in an appropriate manner, which is used both at the stage of designing and building the object, and during its operation and even demolition. 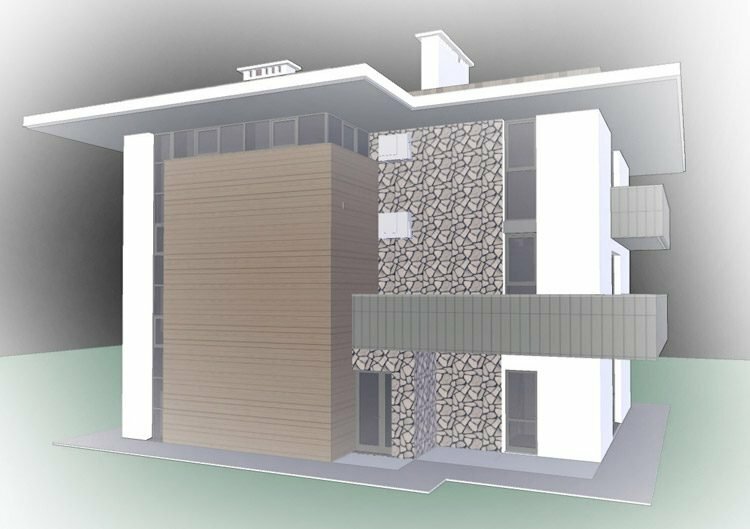 Our BIM models are an accurate, virtual 3D model of a digital building for thorough control of design, construction and operation. 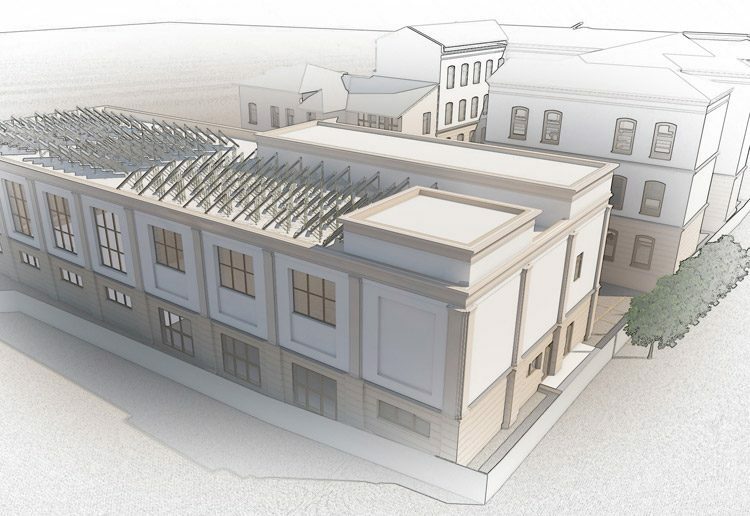 This model contains all data on the cost of building materials, construction of structures, engineering systems, etc., and eliminates the possible mistakes of traditional 2D design. 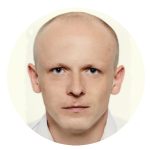 The information model gives the possibility to assess correctly the liquidity of investments, the appropriateness of the adopted design, environmental, constructive and technical solutions, and predict the behavior of the building as a whole, both from an economic and a technical point of view. 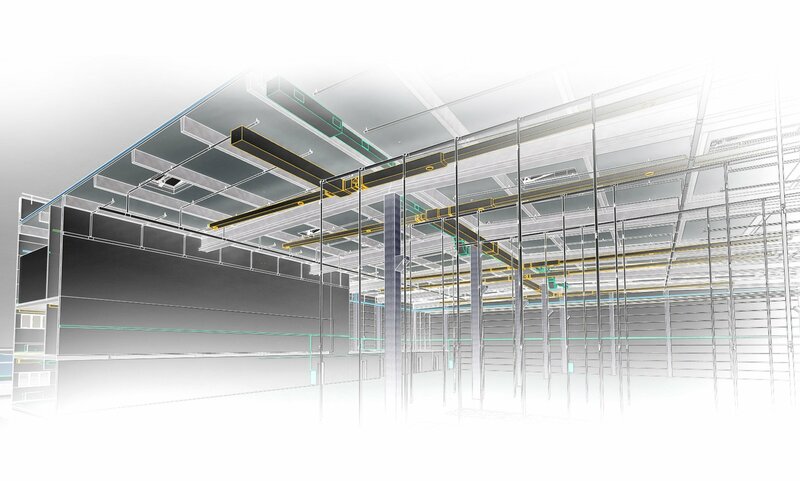 Using BIM-models in project work, all process participants are in a single information space; construction stages are monitored and analyzed promptly, become clearer and more transparent. 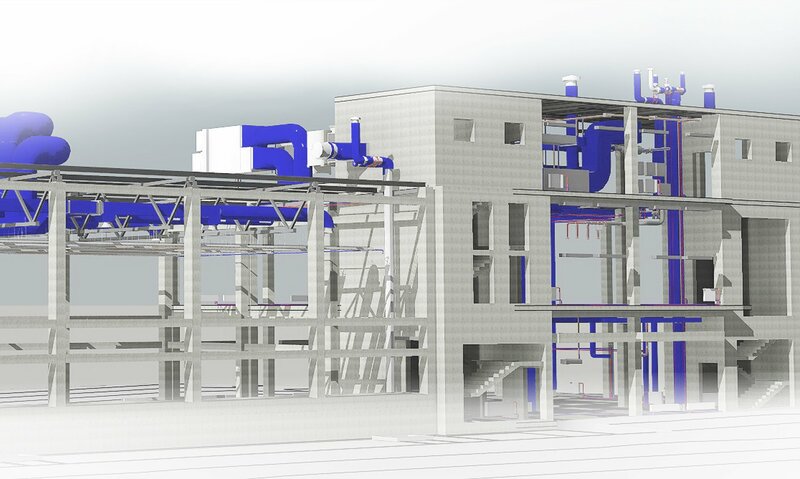 BIM models are a convenient tool for controlling and monitoring of operating objects, which become an important source of information on the characteristics of equipment, which in turn allows you to optimize the cost of operation of the facility, improve system efficiency, reduce response time in case of regular and emergency situations during the operation of the building. BIM-simulation. Modeling on the basis of Laser Scan Simulation (point cloud). 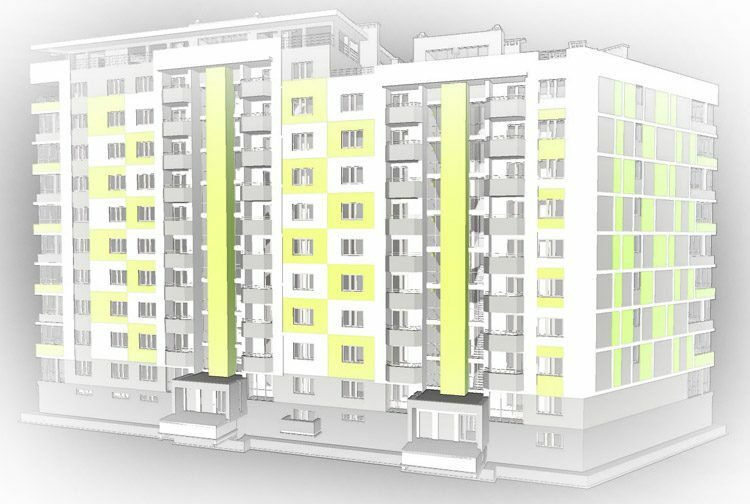 Integration of existing 2D architectural, structural, and engineering projects into a multi-functional 3D model in accordance with BIM-technologies. Coordination of all sections of the project, identifying errors at the stages of model construction. Check geometry, planning and constructive decisions of buildings or structures. 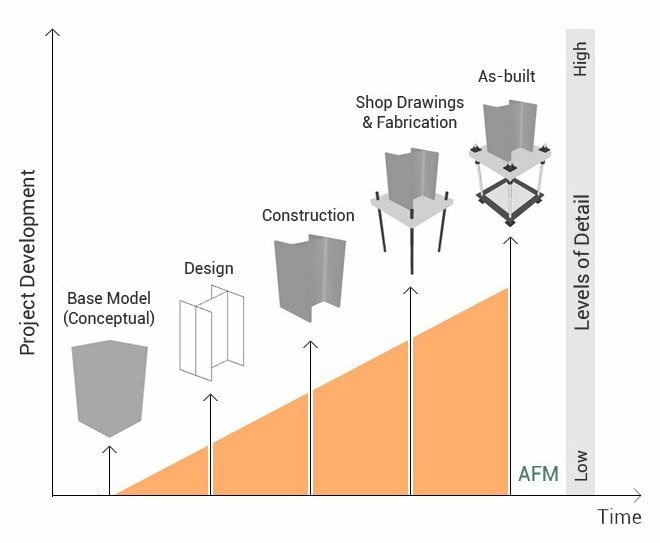 BIM-model allows to estimate the adopted design decisions visually and quantitatively and to prevent significant structural and planning errors that affect the integrity and rationality of the object. Checking areas, volumes and specifications. The precise numerical information of the BIM-model provides a qualitative calculation of the object's estimate. Linking and testing the model for the crossing of engineering systems. One of the clearest advantages of BIM models is the ability to analyze and timely identify conflicts between engineering systems and building designs. Check the integrity of the model for different sections of the working documentation (architecture, structural (reinforced concrete, metal), heating, ventilation, water supply, sewage, etc.). Check for collisions. Working with the model to search for all non-conformities allows you to fix the found errors (collisions) before the start of construction and prevent further work on the dismantling of various parts of structures. Virtualization and animation. A set of BIM options that allows to reflect and understand in a most realistic way the scale of the projected environment, both external and internal, and virtually "stroll" the object in real time, in advance check the viability, functionality and performance of the future building. Forming a package of documents by the customer, requirements and wishes, that will be the starting point for the development of the BIM model. Development of the technical task. Preparation of a technical specification by the customer, based on the required detalization level of the model (LOD / LOI). 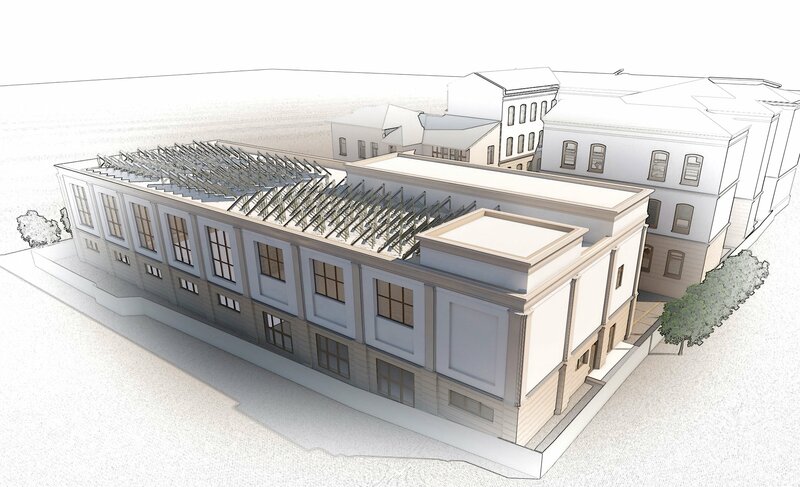 Development of BIM-model by our specialists. The process of creating a model includes the preparation of information on the coordination and stages of the model. Verification and agreement of the model. Approval of the prepared model by the customer on the basis of the current technical specification, and taking into account the appropriate level of detalization. LOD 100 (Concept) – The model is presented in the form of volumetric formulating elements with approximate size, shape and orientation. 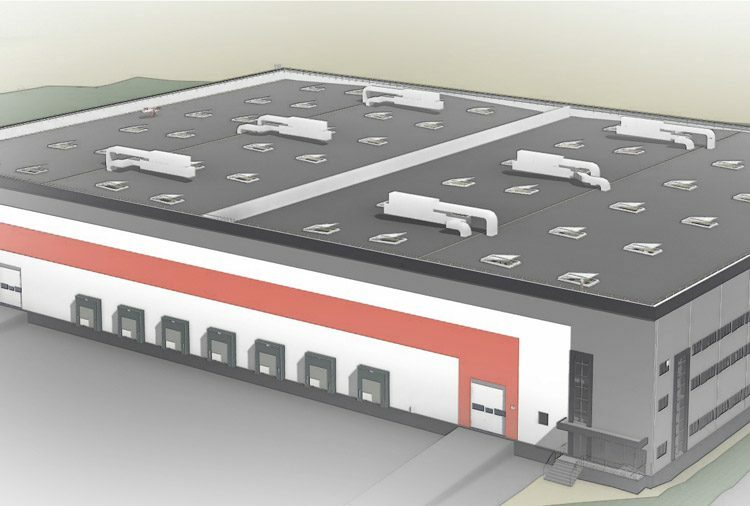 LOD 200 (preproject solutions) – The model is presented as an object or assemblage, as a representative of the building system with approximate size, shape, spatial position, orientation and necessary non-graphic information. LOD 300 (Stage P) – The model is presented as an object or assemblage, belonging to a specific building system with exact dimensions, form, spatial position, orientation, connections and the required non-graphic information. LOD 400 (Stage WD) – The model is presented in the form of a specific assemblage with detailed dimensions, shape, spatial position, orientation, clear links, production and installation data, as well as other necessary non-graphic information. LOD 500 (Operation) – The model is presented in the form of a specific assemblage with actual dimensions, shape, spatial position, orientation and non-graphic information, sufficient to transmit the model into operation. We are confident that cooperation with us will allow you to save your time, resources and funds. We understand market demands, world trends and standards and are ready to become a reliable partner.